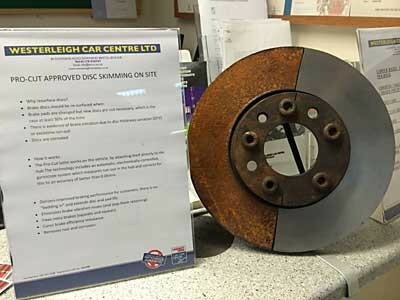 Many motorists have taken their vehicles to 911 SBD as their technicians can skim discs on a wide range of vehicles as well as Porsche, such as BMW, Bentley (all models) VW Touareg and Phaeton, and the Audi RS range. If a vehicle comes in for service with brake vibration, installing new parts without a Pro-Cut is a waste of time and materials and Garages can really gain friends and satisfied customers using a Pro-Cut to perfect their brake installations. 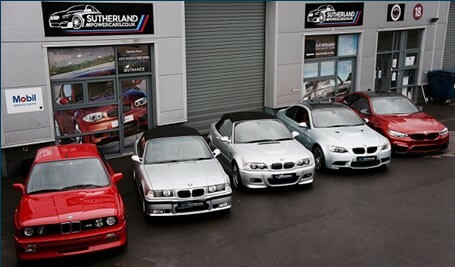 Neil Skuse of Westerleigh Cars in Bristol likes to be different. He knows that by offering something that other garages can’t he will deliver better service, attract more customers and increase his revenues and profits. That’s why in late 2012 Neil invested in a wheel alignment kit, which paid for itself quickly. And that’s also why Neil invested in a Pro-Cut on-car brake lathe in January 2014. After 3 months of using his Pro-Cut machine Neil is delighted. He commented: “Our technicians like using it, customers like the results it gives and I’m pleased that it is getting the use that we predicted. In fact one or two customers have even given us positive feedback on our Facebook page”. The picture shows Neil’s counter-top display which attracts a lot of attention. The Pro-Cut on-car brake lathe skims discs directly on the vehicle. It corrects run-out and eliminates brake vibration, removes rust and ridges and delivers prefect braking for much less than the cost of replacement discs. I recently had my Porsche serviced and they wanted £1100 for front discs and pads fitted. Had front and back skimmed and fitted with Porsche approved pads at J Day Engineering in Henstridge for a fraction of the cost. Service was excellent, the brakes are like new, thoroughly recommend James and the team at J. Day. As a long-standing and experienced ProCut user, I would gladly recommend the brake lathe to a prospective new user. It allows us to offer a really great service to our customers. The machine itself is of excellent quality, easy to set up and easy to use. It has paid for itself three times over already! The technical backup we get from Pro-Cut is also excellent.The ProCut lathe has clearly been a great asset at The Jag Garage with a good return on investment. Everyone who knows Andrew and his team knows he would not offer this service unless he really believed in the results he gets.